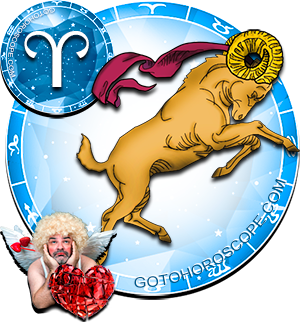 Aries' love life in 2014 will be affected by a couple of factors. The first and the prevailing factor will be your own behaviour affected by the movements of celestial objects, but ultimately dependent on you only. The second less substantial but equally important factor will be the interplay of planets known to impact this sphere of your life. 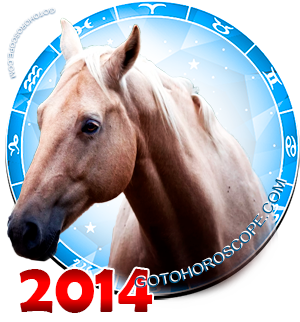 To further elaborate on the subject matter, the whole year of 2014 for Aries can be divided into three phases. The first phase (January through May 2014) - the neutral one - will be quite uneventful due to the planets' passive behaviour towards the love front. The second phase (June 2014) - the negative one - will be marked by the Love Goddess Venus' relentless fury towards you. The third phase, possibly starting around November 10th 2014 and lasting all December long, will be a positive one. During this period the Sun and the Moon will take the spotlight; these two celestial objects which quarrel as often as they cooperate with each other will take a dominant position towards influencing your life. By considering the above-mentioned phases as well as acting wisely under the circumstances, you might be able to alter your personal life to finally find your happiness. So, the very start of 2014 year of Horse will be quite uneventful for your love life. Pluto with its focus on the business side of things will have no time for your relations with friends and family. There is a slight chance, though, that during this time - in early spring, particularly - someone from your surrounding may show "special" interest in you, which won't make your current partner happy and could cause conflicts. But serious problems will hardly be on the horizon. If you happen to be single during this time, the same situation might give you a wonderful opportunity to introduce some changes to your life. If love life changes are destined to happen to you, their extent and importance will only have peaked by mid-June 2014. Yes, June of 2014 is supposed to be one of the most negative time periods for you this year and it is a great pity indeed that most of all fundamental changes in your romantic domain will fall onto this phase. Venus and Saturn will show you no mercy. As it has been mentioned above, it will be the Goddess of Love who will show her true colors. You should be ready to have your significant other pick on you non-stop. Prolonged depression will be coming to replace unfounded fits of hysteria and all the attempts of reasoning will have no effect. The Moon will manage to block no more than 15% of Venus' fury, so most of the negative load will be on your shoulders. During this time it'll be extremely important to bite the bullet and try to stay as objective as possible not to come to regret the decisions made in the heat of the moment. You should remember that near and distant future of your personal relationships will depend on how you cope with this period - who you'll manage to keep and who you decide to let go. But in late 2014 Aries will have a deserved paradise to look forward to. This is not just a metaphor! If in June you are able, despite it all, to make the right decision (and there may be quite a few interpretations of it), then in late November - December 2014 your significant other, your friends and family will transform your home to resemble the legendary Garden of Eden. You'll be surrounded by love and understanding and everything will be just the way you want it.